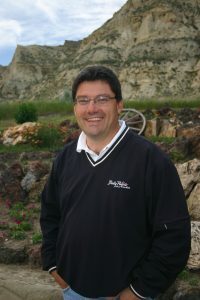 “I came to Medora because of Rod Tjaden, who was as good of a boss as you could have. But I stayed and fell in love with Medora because of Harold Schafer. I remember my very first recollection of Harold. Schafer Stories: as told by John Hild – Former TRMF Maintenance Director and current owner and rancher of the land that was once the Maltese Cross Ranch. “I was 14 years old when Harold first came into Medora; that would have been back in the early ‘70s. My mom actually worked for Harold, she was the Head Housekeeping at the Badlands Motel and we grew up as ranch kids out in the ranching industry. At that time Harold was getting Medora built up and rebuilt to what it is, you know, before today- regenerating it.